CCM’s Halloween Party is TONIGHT! 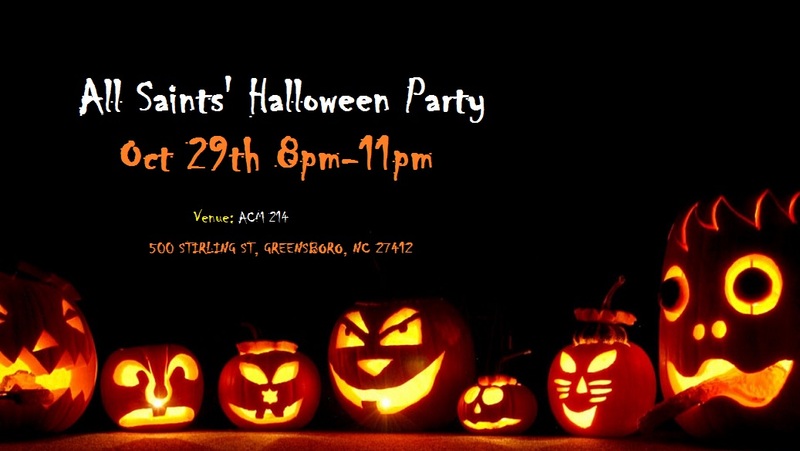 After Oremus (Prayer and Fellowship), the ghoulish ministry week continues with the Third Annual “All Saints’ Halloween Party!” This terrific social is absolutely free to attend and entails music, dancing, a costume show, a full snack bar and refreshments. In addition, we have a few prizes to give away. Throughout the night we will be awarding raffle tickets to the winners of various events such as a Halloween Themed Minute-To-Win-It, an Acorn Toss, and a ticket filled Balloon Drop. But don’t let fear of losing scare you off as everyone will receive a ticket at the door with the added bonus of receiving a second if you attend in costume! Lastly, two awards will be given out for the most Saintly and fiendish outfits. Know that you are formally invited and we are looking forward to all the chills and thrills the night will offer!